You can use art or pictures for your feng shui bedroom to attract auspicious chi energy by following specific feng shui rules for the bedroom. Traditional bedroom feng shui addresses the marital relationship that singles in a relationship or seeking a mate/lover can also follow. Not to be left out, children can benefit from feng shui bedroom art objects for such things as, health and scholastic endeavors. Marital happiness and blessings are a high priority for master bedroom feng shui enhancers. The southwest (earth element) governs romance and love. The types of art for your master bedroom can include wall art, sculptures, plaques and objects with feng shui themes, such as rose quartz or animals. 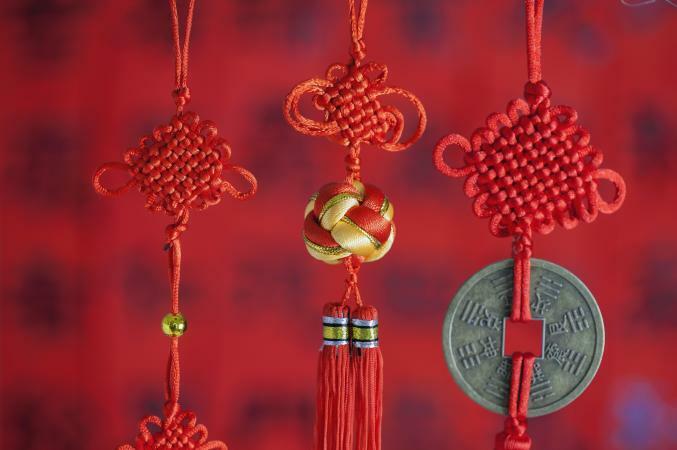 There are numerous feng shui symbols for love luck, especially romantic love. Select artwork that reflects the theme of marital bliss. The use of objects or subjects in pairs is the ultimate symbol of marriage. If the painting or object you select isn't a pair, simply use two of them to symbolize the union between a man and woman. The double happiness symbol is a pair of Chinese characters and represents double doses of love luck and happiness. It's often used as part of the wedding decorations. This symbol is often combined with other love luck symbols and can be displayed in the southwest corner of the master bedroom. Table plaque: This symbol is often combined with other love and marriage ones to create unique art designs. Set this table plaque on a dresser or nightstand. Wooden wall plaque: This hand-crafted double happiness plaque has a hand-rubbed dark mahogany finish. Hang this plaque over the bed. Lovebirds statue: A pair of lovebirds sits on top of the Chinese characters representing unifying romantic love. This is ideal for a bedside table. Wall panel: This Elmwood panel features a double happiness carved in the center. The black distressed finished is hand-applied. Place in a corner sitting area or over a nightstand. Q'ing Double Happiness porcelain jar: This blue and white porcelain jar featuring the happiness symbol is usually given as a wedding gift and placed in a coveted southwest corner of the bedroom or living room. Birds are considered the messengers from the god of marriage who lives on the moon. Birds are perhaps the best symbol of marital love. Always display birds in pairs. The best location is the southwest corner of the bedroom. Mandarin ducks: One of the best symbols of marriage and love, a pair of rose quartz mandarin ducks (love crystal) can be placed on a bedside table. 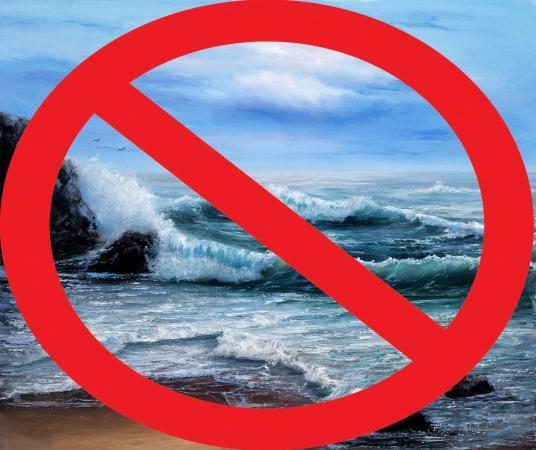 If using a painting, avoid one displaying water since water is too yang for a bedroom. Phoenix: One of the most compelling love symbols, the Phoenix can be used in pairs, such as a matching pair of phoenix ceramic art lamps. Place on nightstands or anchor each end of a dresser. Dragon and Phoenix: Another wonderful and powerful symbol of marriage, the dragon and phoenix can be used as a hand-carved plaque or another form of artwork. This is a good choice for placing over the bed. 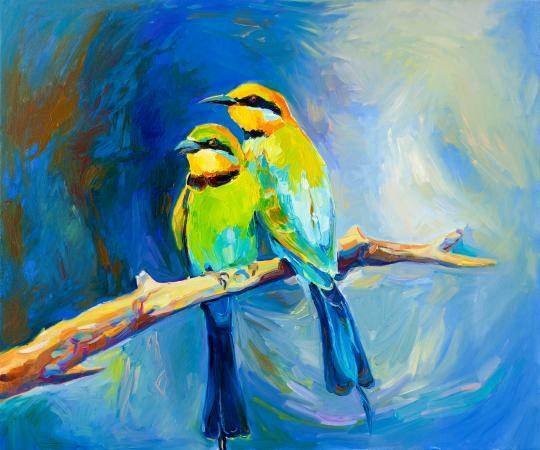 Lovebirds: A painting of a pair of birds is an ideal addition to your feng shui bedroom. Hang on the southwest wall to reap the love luck benefits. Swans: A pair of swans symbolizes marital fidelity and bliss. Choose from various figurines and paintings (avoid displays of water). Invite swan luck into your love life by placing on a dresser or bedside table. Red cinnabar lacquer vase: Cinnabar in powder form is used in feng shui house blessing ceremonies. Capture the power of this blessing with a cinnabar vase featuring the love symbol of a pair of lovebirds. Place in the southwest corner of the master bedroom. The mystic knot (entwined figure eights) signifies love luck, prosperity, and infinity. This is a perfect symbol of marital love. This symbol is often combined with other feng shui symbols. Mystic knot stand: This art sculpture features a lotus base supporting the mystic knot that has a secret compartment to contain your wishes. Display this artwork on a dresser or nightstand. Mystic knot wind chime: This copper wind chime is artistic and combines the two feng shui symbols. If you need a feng shui cure for two doors that face each other you can hang this attractive wind chime between them. To create an aesthetic nuance, train a rotating fan on the wind chime to create a pleasant tickling melody. If you're single, you can use the same symbols for marital bliss to attract romantic love into your life. Follow the same instructions given for each piece of art. Rose quartz: This is the feng shui love quartz. Place two carved rose quartz hearts in the southwest corner of your bedroom. Elephants: A pair of elephants in the bedroom southwest corner will attract a faithful lover. Be sure the elephant's trunk is trumpeting up and never down. A black and white pair of elephants symbolizes yin (female) and yang (male). If you wish to activate the southwest element (earth), choose ceramic, pottery, or rose quartz elephants. Red peonies: A great symbol of love for a single woman seeking her ideal mate. Place a painting or photo in the southwest corner of your bedroom. In addition to using marital feng shui artwork in your bedroom, activate your love sector with the ancient ritual of peach blossom animals with an artistic representation. Peach blossom animal feng shui is considered the most powerful symbol for attracting a soul mate. You must first know your Chinese astrological animal. Pace a figurine or painting of your peach blossom animal in the appropriate compass direction in your bedroom. Astrological animals, such as the horse, can be placed in the bedroom. Use a hung painting or figurine on the nightstand to attract romantic love. There are some great romantic paintings you can use in the bedroom. These include pairings of romantic icons and symbols. 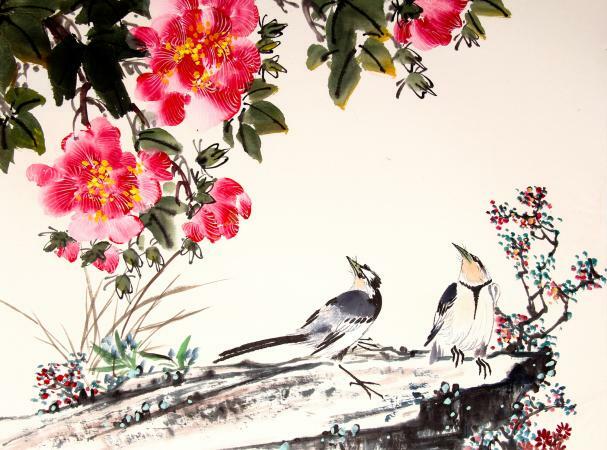 A silk embroidered picture depicting magnolia blossoms supporting a pair of birds is a great choice. Magnolia is a feng shui symbol for contentment and purity, an ideal desire for true love. 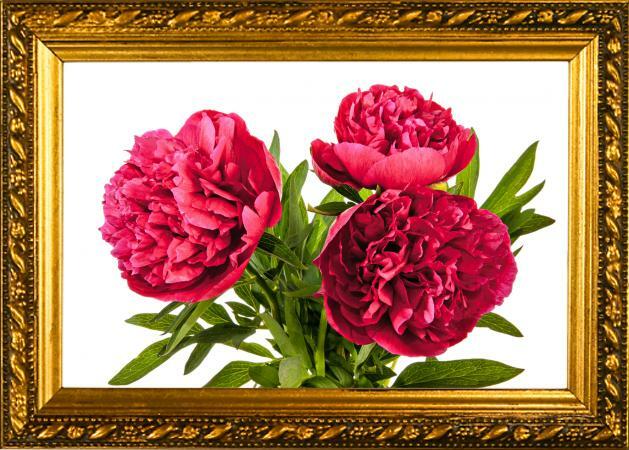 A painting of peonies can be hung over a console table or dresser in the bedroom. A painting that depicts a pair of Mandarin ducks can find a home in a bedroom southwest corner over a nightstand or lounge area. Several types of feng shui art are appropriate for a child's bedroom. The artwork should reflect the intention of the feng shui symbol and be placed in the assigned compass direction of the bedroom. Crystal globe as an art object should be placed in the northeast corner (education) of your child's room to enhance her/his academic abilities and scholastic achievements. 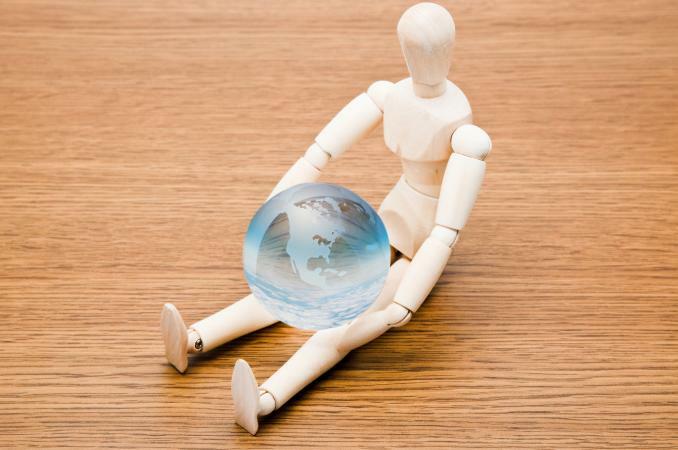 Opt for one engraved/etched with the world globe. Set this globe in the northwest corner (mentor/helpful people) especially when pursuing scholarships or desiring a mentor or tutor. A 7-level pagoda can be placed in the northeast corner to boost grades, especially exams. You may prefer to use a photo of a pagoda. 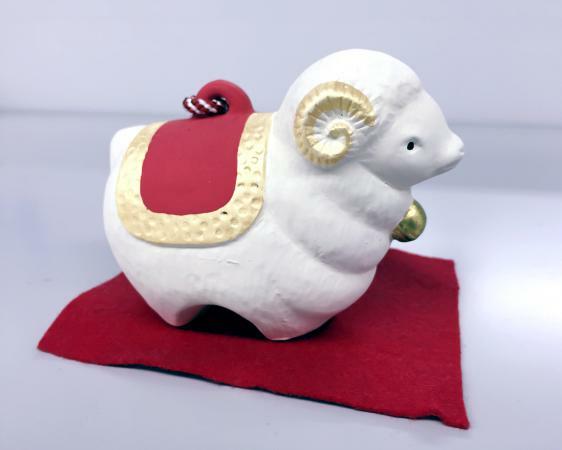 Use the Chinese astrological animal in the form of a figurine or painting for your child's astrological animal. Those children with a tiger sign should avoid fierce representations. A better choice would be a cute cuddly tiger cub. Representations of compatible astrological animals can be placed in the mentor corner (NW) to attract academic helpers as well as loyal friends. The legendary Phoenix is a great choice if your child is in competitive sports or scholastic endeavor. You can also place a phoenix poster that reflects your child's interest in the south sector to boost fame and recognition. If you're fighting illness or simply wish to preserve your health, there are several pieces of art you'll want to include in your bedroom feng shui design. You can also preserve and activate wealth/prosperity with feng shui art for the bedroom. Use the governing compass directions or focus on your personal kua number to determine personal directions for health and wealth/prosperity. The east sector governs health and can be activated by the wood element (big wood). In addition, there are several feng shui symbols that you can use to further symbolize good health. The southeast, another wood element sector (small wood), governs wealth and prosperity. Wood art: You can use various wood art, such as a healing (medicine) Buddha placed in the east sector of the bedroom to activate your health luck. A pair of wood cranes is ideal symbols of longevity and appropriate for the bedroom. 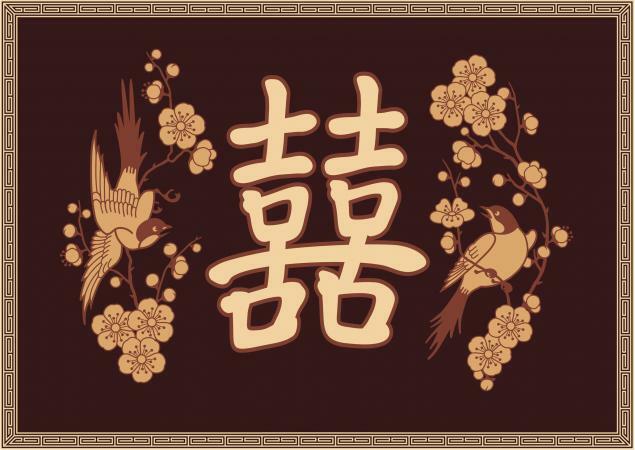 Set a decorative wood screen with feng shui symbols of longevity, such as cranes and pine trees in the east corner. Wu Lou: This good luck gourd is used in feng shui to offer protection against illnesses by absorbing negative chi. Place in the bedroom on the nightstand. There are many artistic wu lou designs available with various feng shui symbols. You may prefer a more subtle look incorporated into a lamp design with a decorative lampshade suitable for your bedroom decor. Cherry blossoms: Canvas artwork of the feng shui symbol of health and romantic love can be placed in the east corner of the bedroom. Fuk Luk Sau: These three Chinese gods watch over health, wealth and prosperity. Place in the southeast sector of your bedroom. Pear: The symbol of immortality is an excellent representation of health and longevity. This can be set in the east corner of your bedroom. Peach: Another symbol of longevity is the peach. Another great choice for an east corner dresser or nightstand. 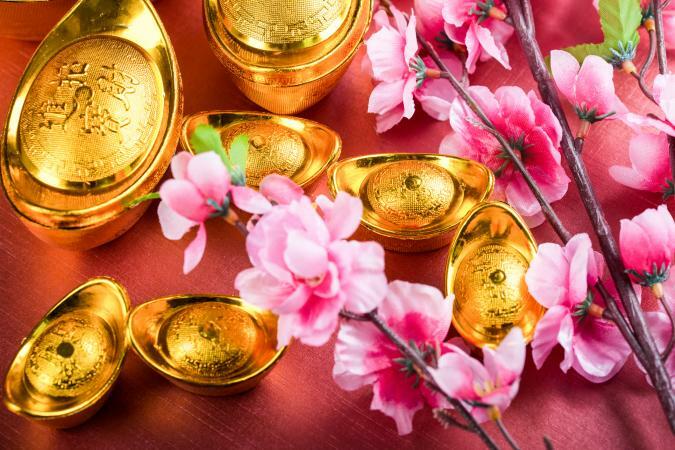 Gold: You can use various feng shui gold art for your personal wealth sector or southeast corner, such as a trumpeting elephant, or simply go with gold accessories placed in the southeast corner of your bedroom. Select a couple of gold pears and place in a small decorative gold bowl on the dresser. There are certain elements and symbols you should avoid when selecting art for your bedroom. Don't use any water features, such as aquariums or water fountains or paintings of water, in the bedroom since this creates too much yang energy. Avoid live plants and live flowers since these generate too much yang energy for a bedroom. Paintings or photos of wild animals that are ferocious should never be placed in your home, especially a bedroom. Don't display wedding photos or photos of children, other family members, and friends. These should be placed in the main living area. Avoid harsh wintry landscapes, desolate deserts, and depressing subject matters. All art choices should be uplifting, inspiring, and conducive to relaxation. In a 2001 article, feng shui master and guru, Lillian Too touched on using feng shui symbols in home decor. Too stated, "Use symbols that are appropriate to your background and culture." She gave Santa Claus as an example of a symbol for abundance. If you find traditional feng shui symbols for the bedroom appealing, then try mixing them with various artwork throughout your home that reflects your ideal for romantic love, academic success, health, prosperity, and other areas of your life.